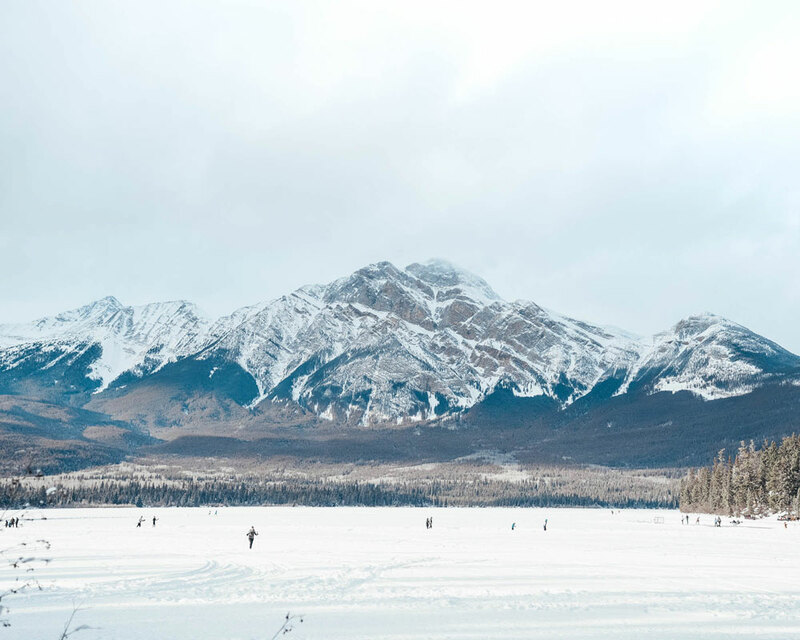 I’m fresh off a weekend in beautiful Jasper, which can only be described as a winter wonderland. 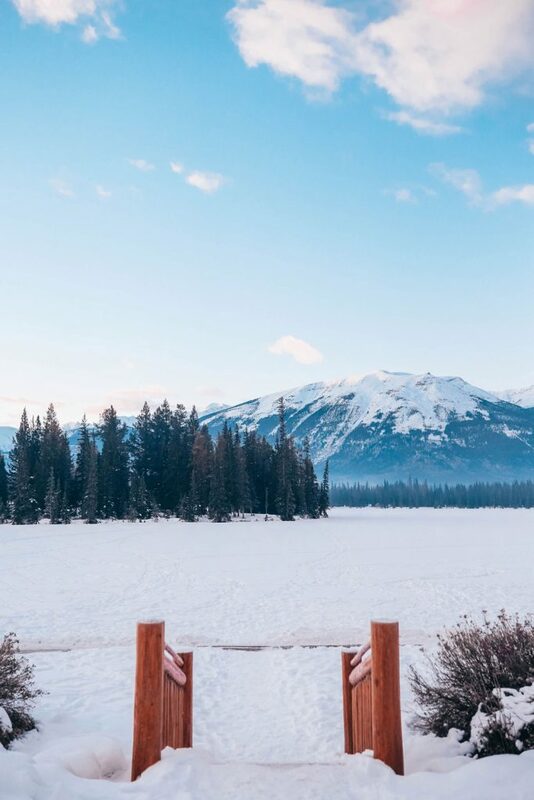 For my non-Canadians, Jasper is a UNESCO World Heritage Site in Alberta, Canada – part of the Rocky Mountain chain, it houses some of the most gorgeous lakes, rivers and mountain ranges in the whole world (and definitely in the country). 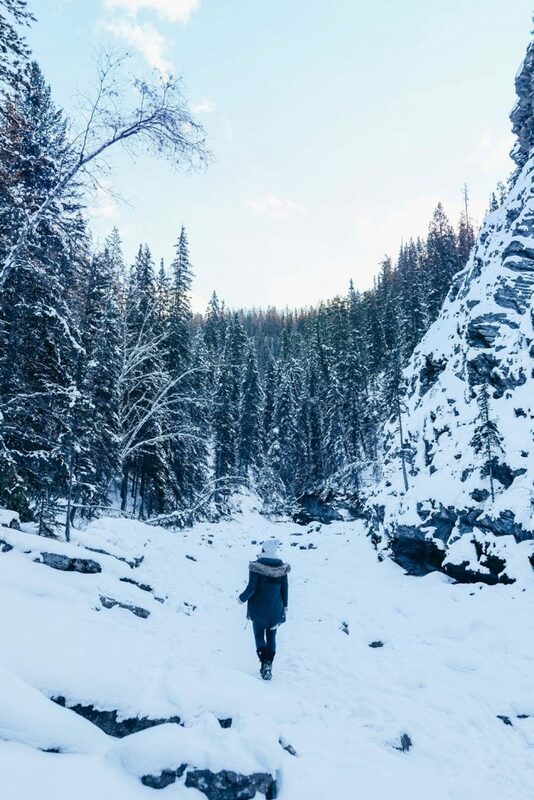 I visited a couple years ago during the fall for the Dark Sky Festival with Tourism Jasper (Jasper is also a designated dark sky preserve) and while I was there, dreamt of what it would be like to visit in the middle of winter – well, my wish came true! Watch the video below and then read on to get all my tips for an amazing weekend in this magical place. 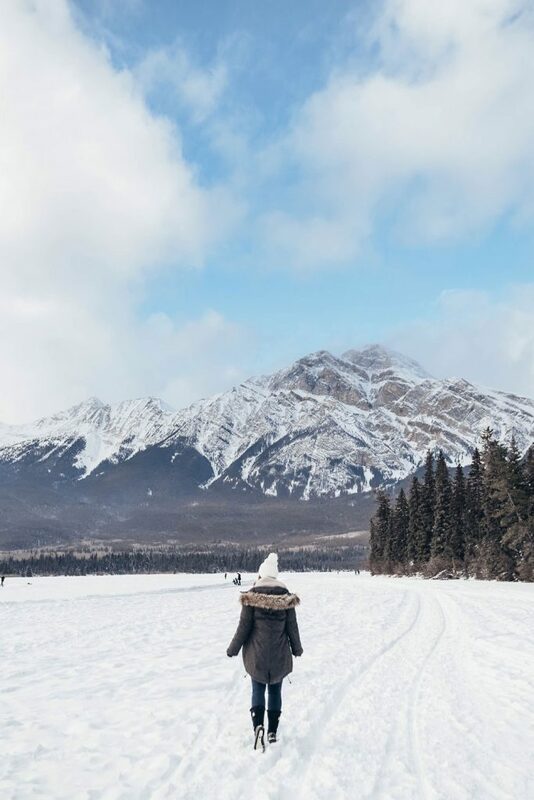 In the winter, obviously the turquoise lakes are frozen solid and mountains covered in snow, but that makes for a pretty amazing natural playground. 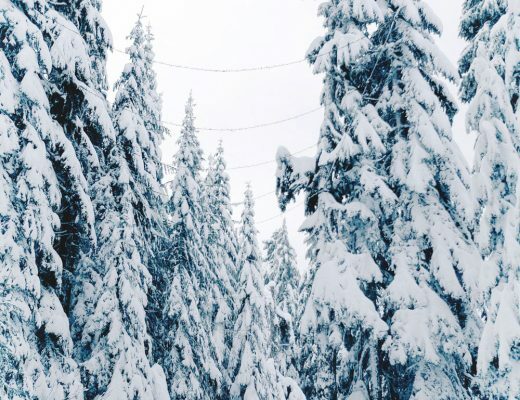 Whether it’s skiing (downhill or cross-country), snowshoeing, ice skating, ice climbing, ice hiking (lots of ice activities! ), fat tire biking and so much more, if you’re like me and drawn to active travel, you couldn’t pick a better place. We were only there for the weekend with an early start on Friday and a late return home Sunday, but honestly, while both Matt and I said we would’ve liked to have stayed another night or two, it’s totally doable for a short period like we did! Our new plan is to return in the summer and camp there for a few nights over a longer Alberta adventure! 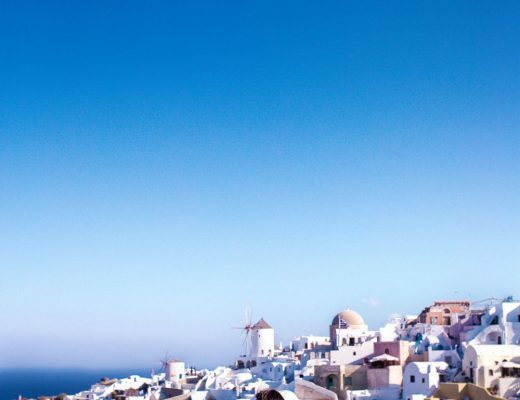 For now though, read on for all my top tips on what to do, what to see, where to eat and more! 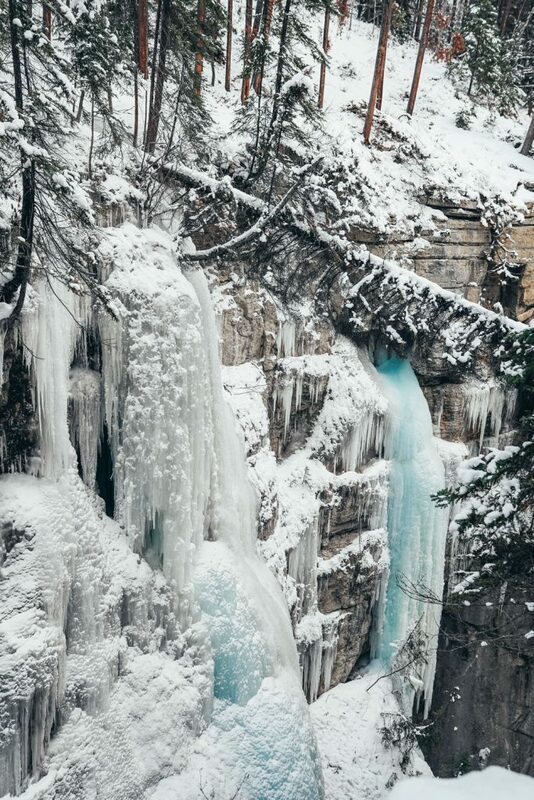 The Maligne Canyon Ice Walk: this is an absolute must. Both times I’ve been, I’ve gone with the Sundog Tours team and they’re fantastic – so informative and knowledgeable, and also safety-first (since you are dealing with a canyon, falling ice, wildlife, etc). 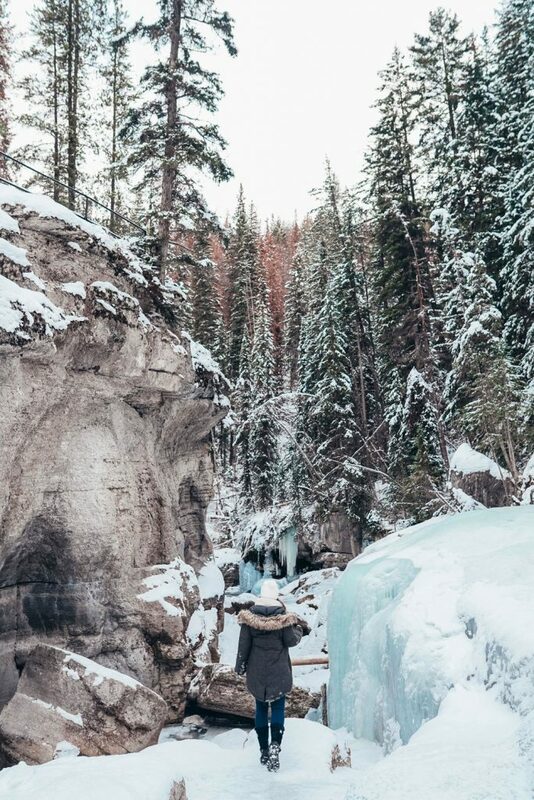 What makes Maligne Canyon so cool is that it’s filled by Medicine Lake, which basically is a big bathtub that empties out through the Maligne River into the canyon – it was a mystery how this happened until scientists used biodegradable dye to trace the flow of the water! There are tons of fossils, beautiful waterfalls and awesome karst topography to take in here. 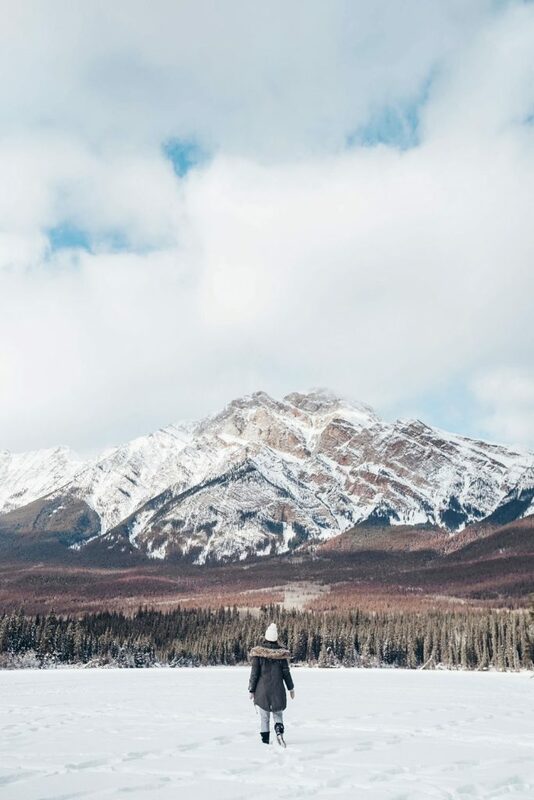 Pyramid Lake: whether it’s in the summer with its turquoise waters (and a little stop over at Pyramid Island, the most picturesque little cluster of trees underneath the towering mountain ever), or to come in the winter, Pyramid Lake is a must. 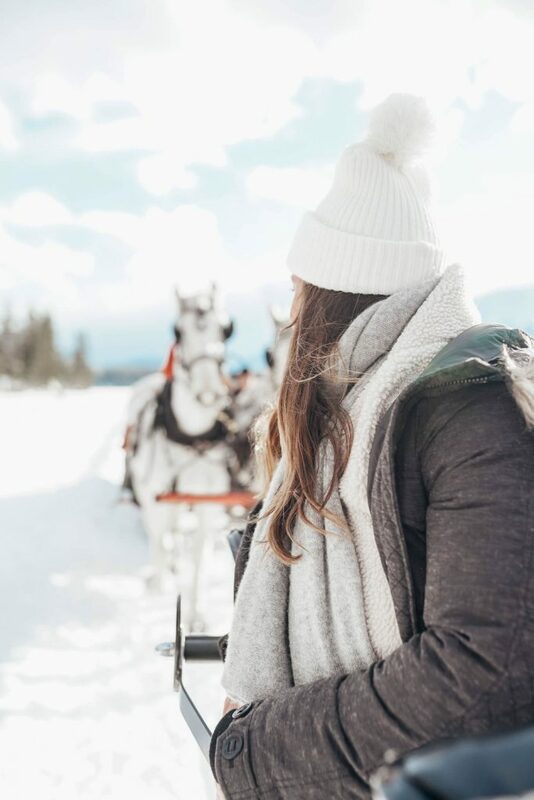 In the winter, it’s a winter games playground – you can go cross-country skiing, play a game of hockey or go for a horse or dog sleigh ride! 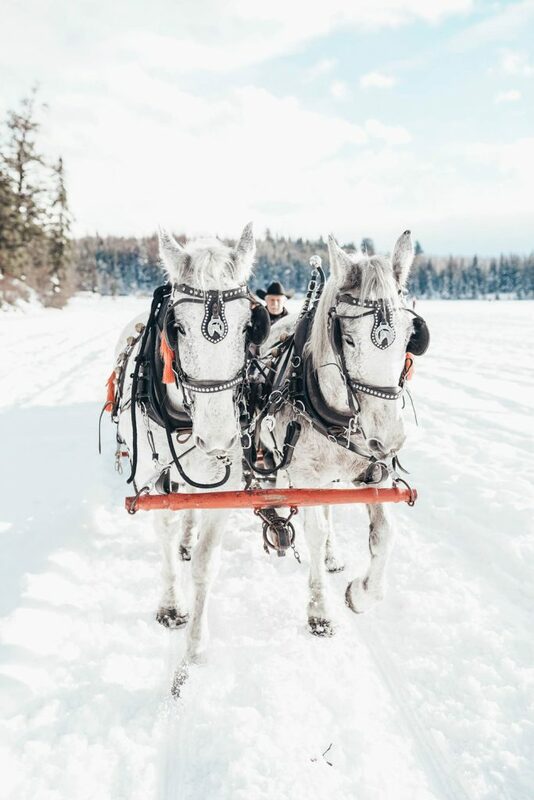 We went on a horse-drawn sleigh ride and it was pure magic. Jasper SkyTram: I didn’t do this on this last trip, but a couple years ago when I went for the Dark Sky Festival, we went up on the tram and saw the Northern Lights dancing on the horizon and took in the most clear view of the night sky I’ve ever seen. 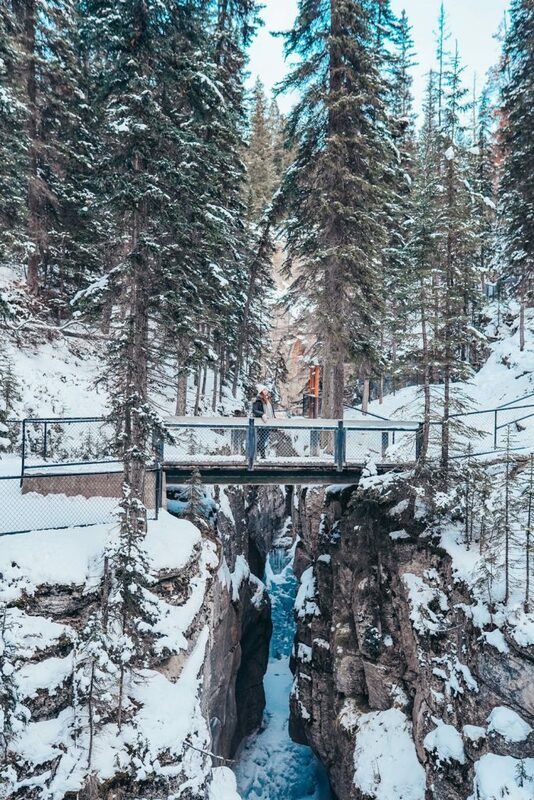 Athabasca Falls & Icefields Parkway: two things I haven’t had the chance to do yet but that every local has told me is an absolute must. On my list for the next trip there, hopefully this year! Play outside! 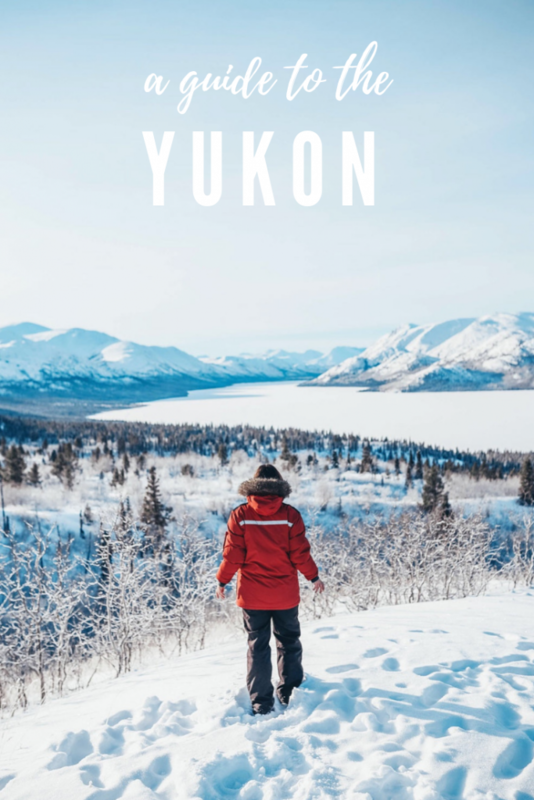 Seriously, the options here are endless – whether you’re a biker, a climber, a hiker, a paddler, a wildlife fan, a skier, a snowboarder, a skater, etc, etc, this is a place where active types live & thrive, and that beckons more of us to visit! However you like to play outside and whatever the season, you’ll have so much to do and just have to pick from the many options. Jasper Food Tours: well, first of all, if you don’t want to pick and choose, you can just book through Jasper Food Tours and not only get taken to some of the town’s best restaurants, breweries and pubs, but also get some really interesting history along the way. Some cool facts we learned along the way on our tour with Estelle: 1. Marilyn Monroe got turned away from one hotel in town for indecent attire so took up residence at The Athabasca Hotel, 2. Jasper was picked as a major station by the Canadian National Railway not because it was a main connection point, but because of how isolated it was (so that cargo wouldn’t get stolen), 3. because of its national park status, you can’t hunt in Jasper and it has very limited agricultural potential so all of their food comes in via trains meaning 4. that since historically there were food shortages because of reliance on the trains, the town started a tradition of doing a big communal meal, a tradition that lives on today on a monthly basis through the support of local businesses! Can’t recommend this tour enough! Jasper Brewing Company: this brewery not only boasts super tasty beers, but incredible food too. We had the tastiest burgers, poutine and steamed buns here. The De’d Dog: this is the definition of a locals joint. It got its name because when locals would call seeing if their friends were there yet, whoever was working would pick up and say “dead dog” (meaning the space was dead). Locals flock here after work, heading to their regular tables and paying tribute to passed friends on the memorial wall, where frames of Jasper’s now-gone residents hang so that they can continue being with their buddies in spirit at The De’d Dog (there’s even some with built-in shelves for glasses, so that their friends can drink a toast to them). Not only are they the go-to watering hole, but their food is incredible pub fare too. Seriously a must-visit! SnowDome Coffee Bar: this cute joint is in a laundromat-meet-cafe (super handy if you’re camping and need to clean your clothes!) which would be worth a visit in and of itself, but it’s also got some seriously amazing coffee. Tip: ask for bear latte art at the till! Coco’s Cafe: a must-visit for breakfast options, we were assured by locals themselves that this is the go-to for a breakfast on the way into work and that they have some of the town’s best coffee. Bear’s Paw Bakery: we popped in here before driving out to Edmonton for our flight and were so lucky timing-wise because they had just pulled out some raspberry white chocolate scones from the oven. Seriously tasty pastries! Patricia Street Deli: we grabbed sandwiches here on our way out – so tasty. If you’re a fan of a good old fashioned deli (complete with homemade buns), this is your place for a delicious lunch. The Raven Bistro: this cozy space is a favourite because all their servers actually have to go through sommelier training, meaning that not only is their food incredible (I dreamed of my amazing feta-stuffed falafels the rest of the weekend after having them my first night there), but their wine pairings are unparalleled. If you have plans to be around next January, we were there for the Whiskey, Wine and Hops Festival this last weekend and it was unreal. From local Albertan vendors to whiskey vendors from Scotland, we got to experience so many amazing libations and food here. It also brings out the whole town so it’s a really fun way to take in the community! You have a couple options here but the easiest I’ve found so far is to fly into Edmonton (from Vancouver, it’s a 1.5 hour flight so super breezy) and then drive in. The drive is about 4 hours long but put on some good music, a podcast or an audiobook, plan for a stop in Edson for a quick coffee, restroom break and gas if you need it and it’ll fly by. While I was super wiped on Friday from waking up super early for our flight plus some added travel fatigue from having gotten back from Maui just a couple days before (check out the video above to see just how awful I look), it’s definitely the way to go so that you can maximize your time there, then just pick a later flight on your departure day. I’ve also taken the Sundog bus when I was travelling a couple years ago and that made for an easy drive in as well! I’m not the most confident driver but Matt said while driving on this trip that he was really impressed with how clear and easy the drive was, even in the snow on Friday – Vancouver’s pretty notorious for being impossible to drive in the snow (a combination of our super wet and icy snow, cars not being suited up for it, nervous drivers who hardly ever see snow and all our hills) but from what I could see in my luxe position as a passenger, it was a total breeze. After this last weekend, there’s really only one option for me and it’s the Fairmont Jasper Park Lodge. I love my Fairmont hotels (I especially spend a lot of time at the Fairmont Chateau Whistler, which I’m obsessed with), but what make the JPL unique is that the main lodge is actually separate from accommodations. All rooms are in cabin-style buildings around the property, meaning you’ll have literally the best sleep of your whole life with nothing but the sound of the wilderness around you (and Fairmont’s signature mattresses, which I’m obsessed with). 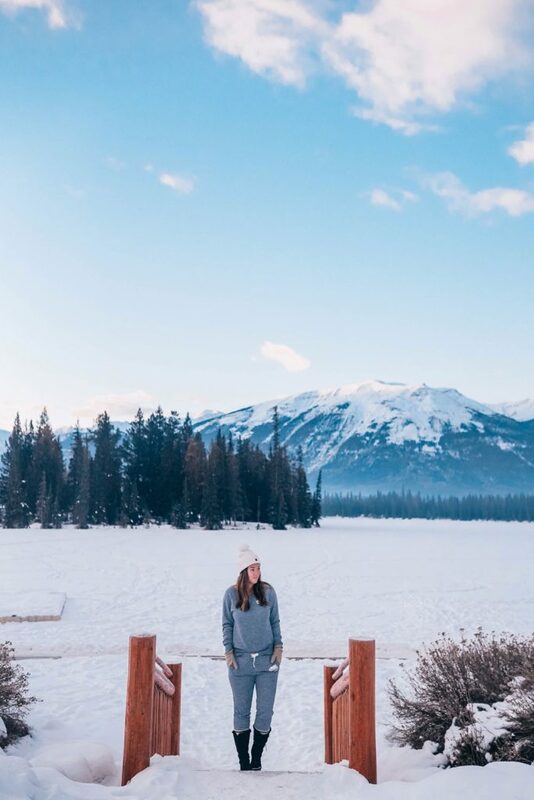 Head inside to the main lodge though and you’re greeted with the most gorgeous chalet-style floor-to-ceiling windows offering a stunning view of the mountains and lake below, as well as the hot tub and pool at the base of the building. Dining was seriously exceptional – we had breakfast at Orso every morning and we were blown away by not only the amazing food (the buffet was a dream!) but the incredible customer service. The cherry on top though for me was discovering on Sunday all the incredible activities the hotel offers to help their guests get the most out of their stay. In the summer, you can rent out canoes to take in the beautiful lake right in front of the hotel, but I like to think the real fun starts in the winter. We headed over to the golf building (oh, did I mention this is apparently one of the best golf courses in North America? Not a golfer but may take it up to experience it here if I come back in the summer!) where we were told we could rent out our ice skates. 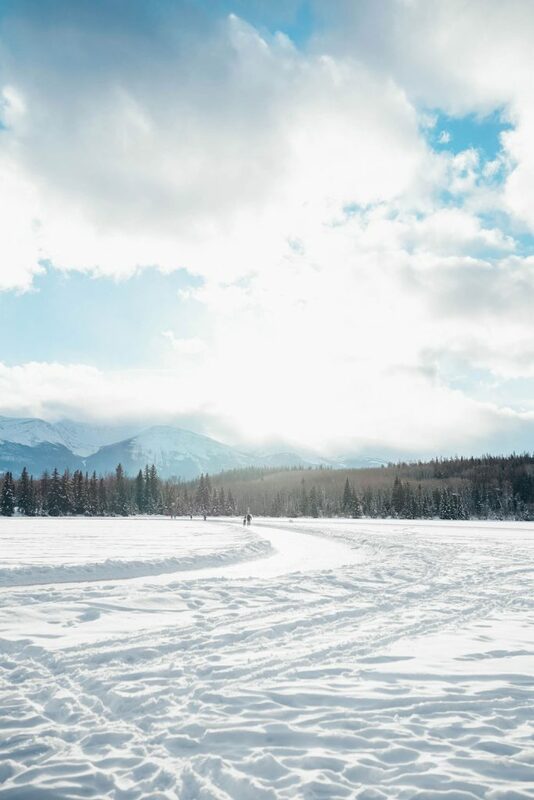 We discovered that not only did they offer complimentary ice skate rentals, but toboggans, snow shoes and so much more too! So cool. 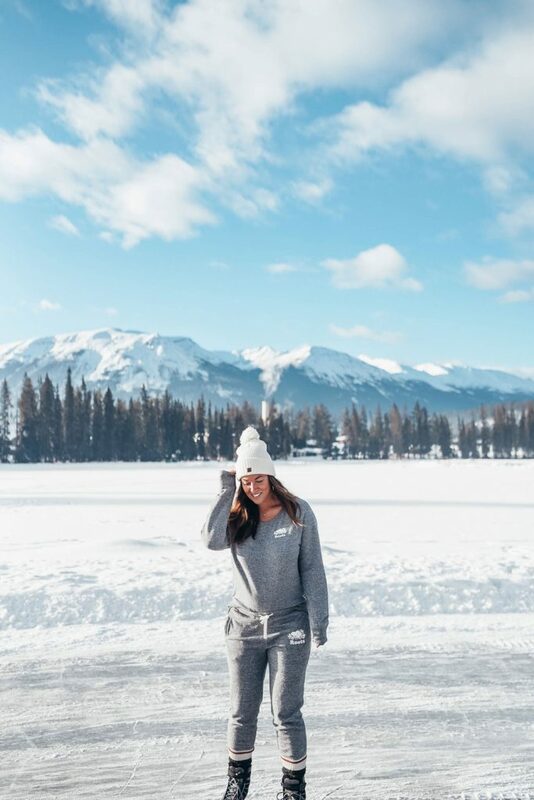 We walked over to the ice skating rink at Mildred Lake and laced up in the heated hut there – being from Vancouver (and specifically growing up on the North Shore), we don’t really get the opportunity to skate on a natural frozen lake underneath a mountain, like, ever. While we have the mountains and the ocean, we don’t have these massive lakes near us so it was a really special, unique experience. And we didn’t bail once! Pretty amazing that they offer all of this as complimentary rentals, particularly because it was one of our absolute favourite parts of the weekend. A massive thank you to the Tourism Jasper team and Fairmont Jasper Park Lodge for a truly magical trip. It was one of Matt and I’s favourite weekend getaways ever and being in line with my goal of seeing more of my country this year, I felt like it kicked off some of my 2019 travels in a really special way. 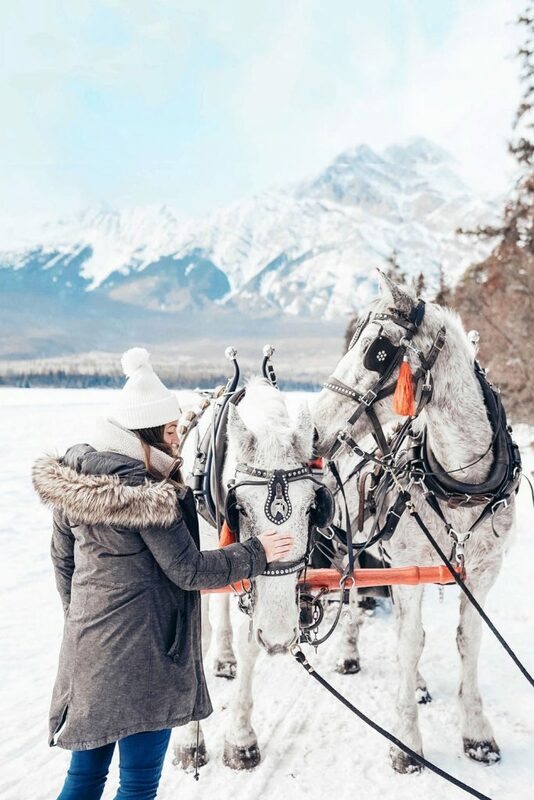 Keep an eye on the Tourism Jasper page not only for their general tips & tricks for seeing this truly special & unique place, but for the incredible events they always have going on! I’ve been so lucky to not only experience this weekend’s various wine & food festivals, but to do Dark Sky last year and they were both some of my most unreal travel experiences. 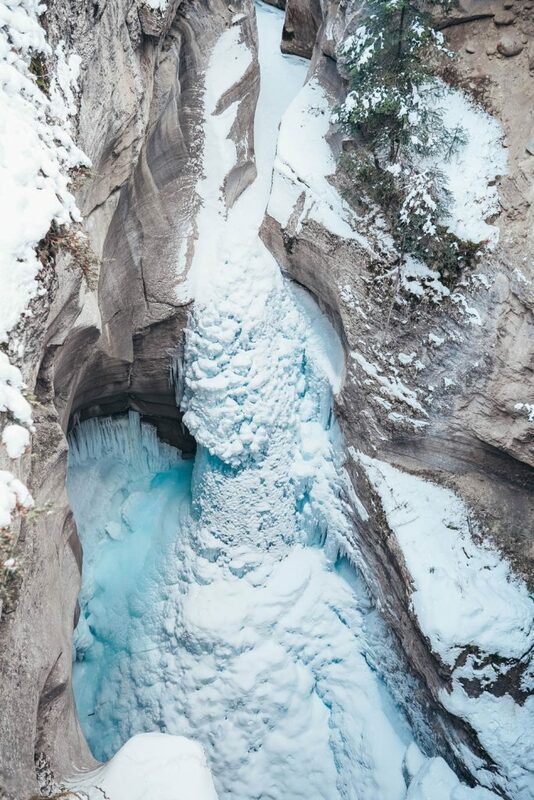 Have you guys been to Jasper before? Tell me in the comments below! WOW! Your photos looks absolutely amazing. 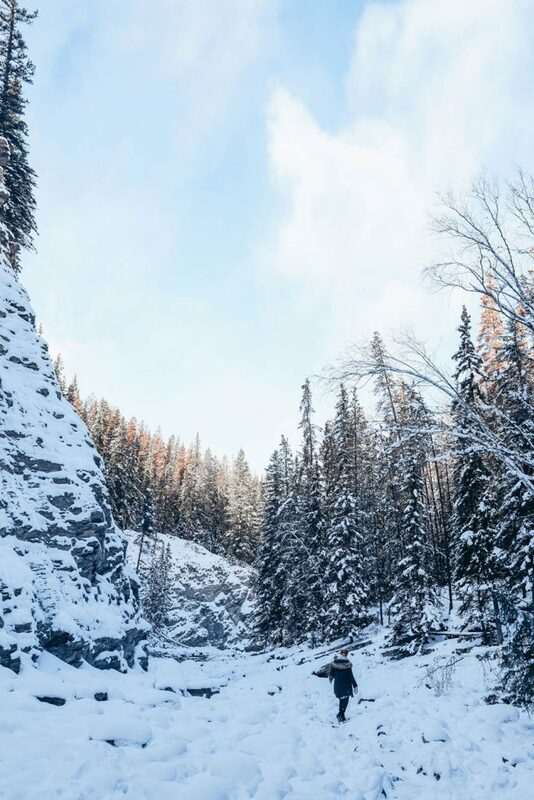 Jasper looks such a beautiful place, definitely somewhere to add to the to-visit list!